← Home Management 101 – What does a Smoke Detector do? Home Security 101 – What is a “Home Disaster” Monitor? What would happen if you were away from home and the heater stopped working or the water heater sprung a leak? When the inside temperature hits 41, well before your pipes freeze, the sensor triggers sends a message to your Burns & McBride Go!Control. A message is immediately sent to the monitoring center. If you are using Burns & McBride Home Comfort’s interactive monitoring (as most Burns & McBride Home Comfort customers do), then you’ll also be notified by text or email right away. Once the temperature climbs back to 50 degrees Fahrenheit, the sensor resets itself. When water from something like a leaking water heater, broken washing machine hose or flooded basement touches the sensor, a message is sent to your Burns & McBride Go!Control and help is on the way. Our Home Disaster monitor can do both of these things. 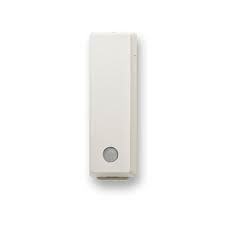 It combines a sensor which looks for water with a small “thermostat” which is always on guard for falling temperatures. If either of these problems occurs it sends an immediate alarm signal to your Burns & McBride Go!Control panel and the central station is notified to call the people you have designated. Wireless environmental sensors are available today and using them to protect your primary or vacation home does not add a penny to your monthly cost. And one more thing …there is NO additional monthly charge for this. We can install the Home Disaster monitor on your system for a nominal fee and there is NO change in your monthly monitoring fee.